Olivia is a junior at Arapahoe HS, and is on her third year for the ArapahoeXtra/Spear staff. She's extremely thrilled to be a co-CEO (with Nathan Holmes) this year! As a columnist, she adores writing journalistic and opinion pieces. This year, she hopes to truly popularize AHS student media, while extending its influence into social media, especially YouTube. 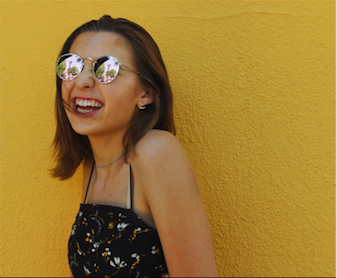 Besides AHS Student Media, Olivia's passions include screenwriting, walking her dog, photography shoots with friends, jamming to new music in her car, and exploring new coffee places around Denver. (Her favorite drink is an iced almond-milk latte). Besides coffee, her favorite food is the good ol' PBJ. She can't wait to see what the new school-year has to offer!